The search for a weapon! 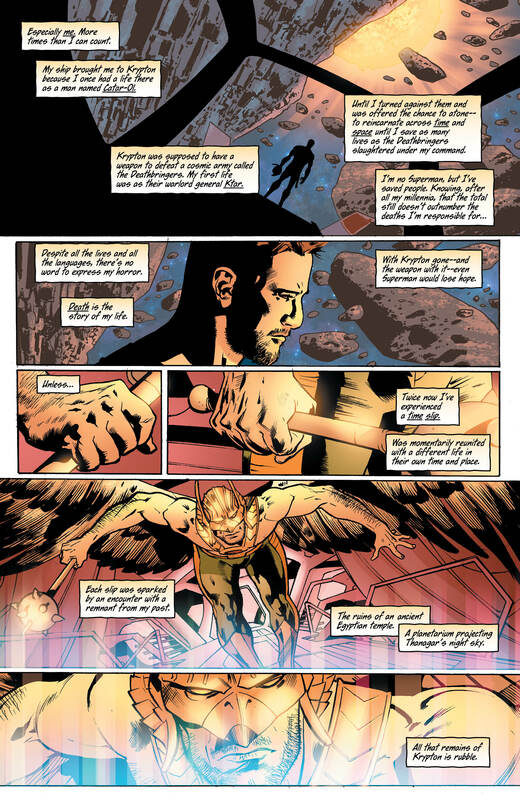 The Deathbringers, a foe from the very origins of Hawkman, have returned. And since then, Carter Hall has been on a quest through his own history in order to find a way of defeating them. 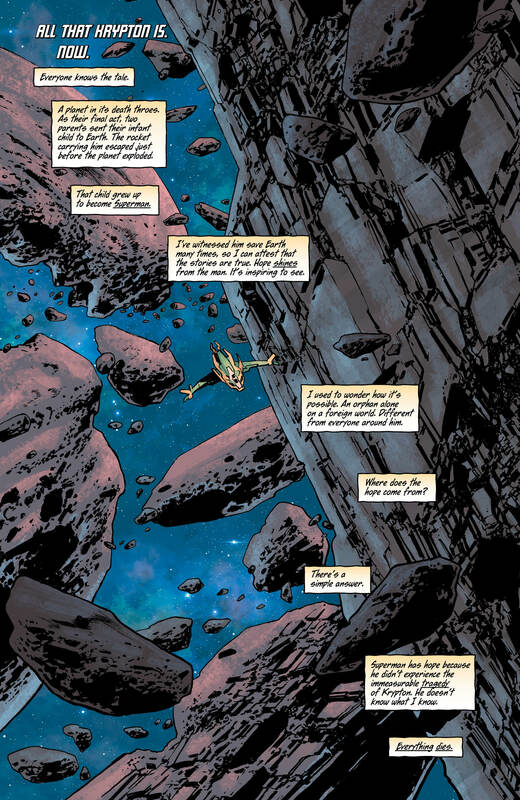 That quest has led him to Krypton in search of a weapon capable of defeating this ancient threat. But what do the ruins of the world have to tell him, and how will another past incarnation of Carter react to his arrival? Okay, so it’s no secret that I’ve loved this series since it first started, and that excitement is only growing now that it’s starting to feel like the battle against the Deathbringers has started to build towards its climax. This is the calm before the storm as Carter Hall and Catar-Ol try and work out how to save everything, even if the answers are not all that Carter wants. Since it’s Carter and Catar-Ol working together this issue features no action scenes (well, unless you include an exploding planet Krypton in the background), so depending on your inclination this issue might not work as well for you as it did for me. 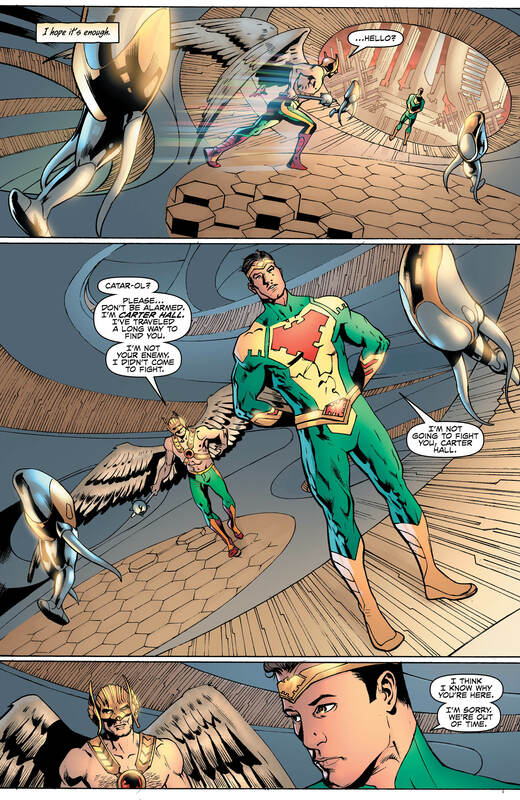 However, given the fact that I’ve grown to really like both this interpretation of Hawkman and this new version of his mythos, just learning more about this new history being expertly crafted by Venditti is more than enough for me to recommend this book. 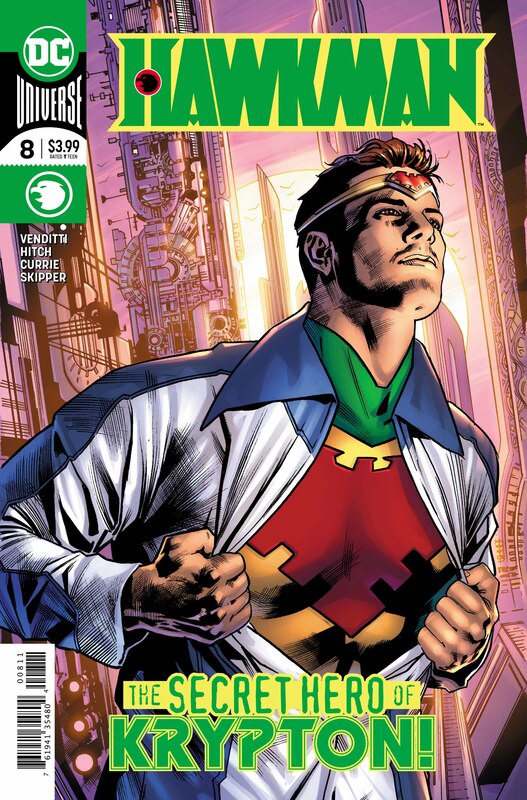 Luckily though that’s not all I’m recommending as Robert Venditti is joined as always by Bryan Hitch and Jeremiah Skipper who do a great job as per usual. 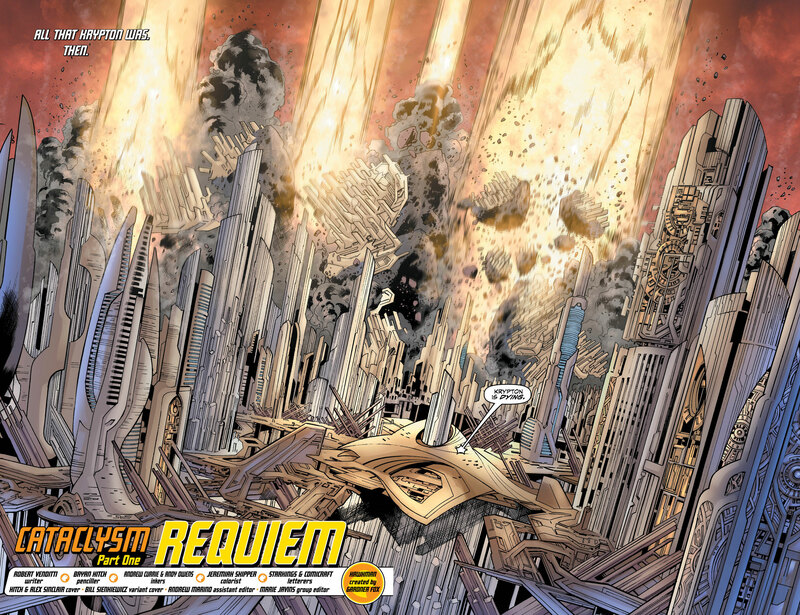 Hitch in particular gets to show off a little here with full splash pages of Krypton mid-destruction which is brilliantly enhanced by Skipper’s bright use of colours on the exploding planet. Hitch also gets to showcase his great gift for scale this issue as he shows the sheer size of the weapon to be used against the Deathbringers. If you’ve been reading this series so far, then this should be considered yet another issue of the same high quality as you’ve come to expect. The mystery deepens as everything looks hopeless, all while things look to get a lot worse. Basically, if you’ve been enjoying this classic hero’s return then there’s absolutely no reason to stop reading now.